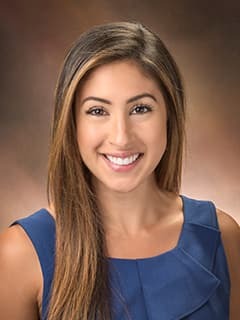 Ami Gokli, MD, is an attending pediatric radiologist in the Division of Body Imaging of the Department of Radiology at Children’s Hospital of Philadelphia. Hsu, Joe Y., Shah, A., Gokli, A., Goyal, N., Jeudy, J. Chapter Ischemic Heart Disease in: Cardiac Imaging: A Core Review. Philadelphia: Wolters Kluwer, 2016. Gokli, A.; Neuman, J.; Lukse, R.; Koshy, J.; Kong F.; Laor T. Childhood asymmetrical labium majus enlargement sonographic and MR imaging appearances. Pediatric Radiology. 2016;46(5):674-9. Jbara, M.; Gokli, A.; Beshai, S.; et al. Does obtaining an initial magnetic resonance imaging decrease the re-amputation rates in the diabetic foot? Diabetic Foot & Ankle. 2016;7:10.3402/dfa.v7.31240. doi:10.3402/dfa.v7.31240. Thai, J.; Gokli, A.; Shamis, M.; Brenner, A. (2018, Dec). A patient-centered quality initiative: Stepwise modification of departmental protocol culminating in a single periareolar radiotracer injection with equally effective sentinel node detection while reducing procedural pain. Accepted digital presentation at the Radiological Society of North America Annual Meeting.